Home / Games / My Talking Tom 2: Your new best friend is here! Download My Talking Tom 2 MOD today! Since its release in November 2013, My Talking Tom has brought a lot of success to Outfit 7 and has become one of the most popular mobile games. Part 2 of the game, My Talking Tom 2 (Unlimited Coins/Stars) was released in November this year. Keeping the unique features of the best virtual pet game, the game is back with a more fun, exciting and more feature-rich version. Do you want to adopt a cute cat, mimic human voice? Download this game to your phone via the links below the article. Tom is a special cat that needs your care. 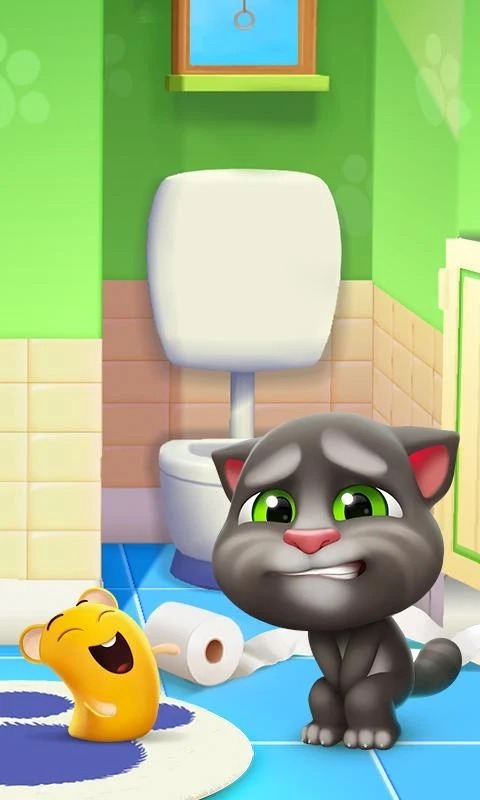 In My Talking Tom 2, you will become Tom’s “parent”, care and help Tom happy. How? It very simple. Since Tom is a cat, he needs to eat, rest, play and be cuddled. The first is eating. In the bottom of the screen, select the “Knife and fork” icon to put Tom in the kitchen and sit at the table. Pick the dishes you like, then drag and drop them into Tom’s mouth (do not worry because Tom’s mouth is very wide, he can eat everything). You can balance Tom’s nutrition by giving him a variety of foods such as fruits, soda, milk, cakes, meat, etc. After a period of using the food available in the refrigerator, you have to buy food from the store. The more nutritious foods will help Tom not be hungry, but they are also more expensive. For example, a pastry would cost more than three carrots. After a while playing, the clock of Tom’s cleanliness will decrease. That’s when you need to take Tom to bathe by pressing the bathroom icon. Besides, do not forget to bring Tom to the toilet regularly if not he will feel very uncomfortable. You can take Tom to the toilet, he will shut the door and do the rest. The game depicts this by emitting humorous “noises”. If you want, you can “break” Tom’s privacy by trying to open the door of the toilet. 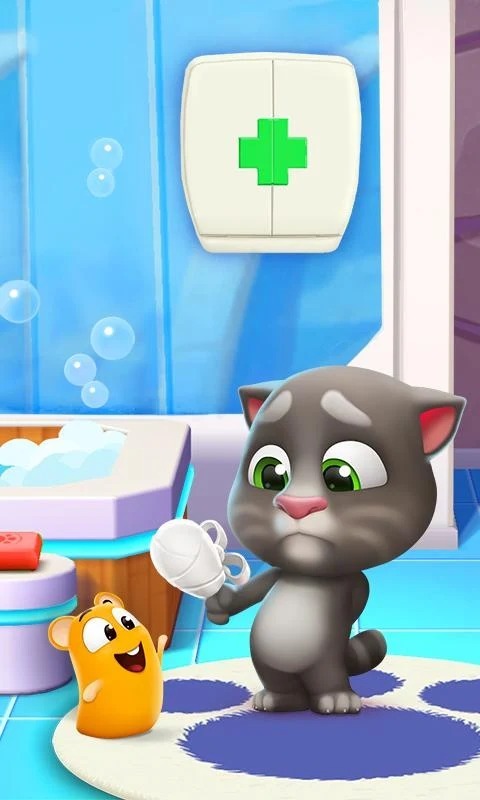 Unlike My Talking Tom, there are many types of bath soaps that you can choose for Tom. You can use as much as you like. Looking Tom caught in the soap bubble is a pretty fun. 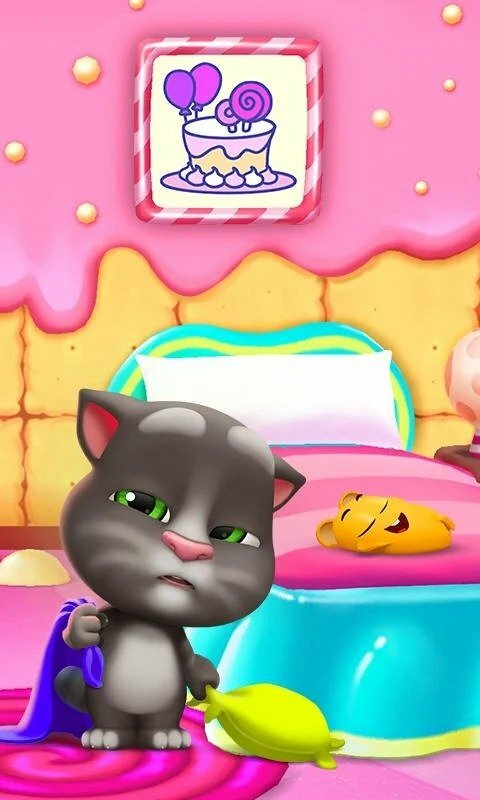 The biggest difference of My Talking Tom 2 is that this game has a healing feature. No one is healthy forever, someday Tom will be sick (called booboo). Do not worry! Click on the medicine cabinet and select type of medicine for booboos. There are no cure instructions, but each booboo can be cured in several ways, so you can experiment. Before you close the game, it’s time for Tom to go to sleep. If not, sometimes you want to play with Tom but you can’t because he are too tired, and you have to wait for him to sleep for a while. Instead of sleeping, you can buy a vial of medicine for 100% health instantly by diamond. Help Tom go to bed, turn off the lights and he will sleep until his health meter reaches 100%. Tom is a hyperactive cat. He can play all day without being bored. You can cuddle Tom by swiping into the stomach or even hit Tom. The fastest way to make Tom happy is playing the minigame of My Talking Tom 2. This is also a way to earn very effective coins. The game has a lot of fun minigames waiting for you. Classic games like 2048, racing game and lots of other games. Tom can travel. Did you hear wrong? No, you didn’t. After each level, Tom will receive a plane ticket to travel anywhere you want. You can buy Tom’s dishes, decorations or clothing there. When playing My Talking Tom 2, the greatest joy of the player is to buy unique clothes and try it for Tom. Each suits a different theme, but you can combine multiple themes in one set. Would you like to buy a King’s clothing or alien suit? In addition, you can also decorate the living room, bathroom, kitchen and bedroom of Tom by your way. 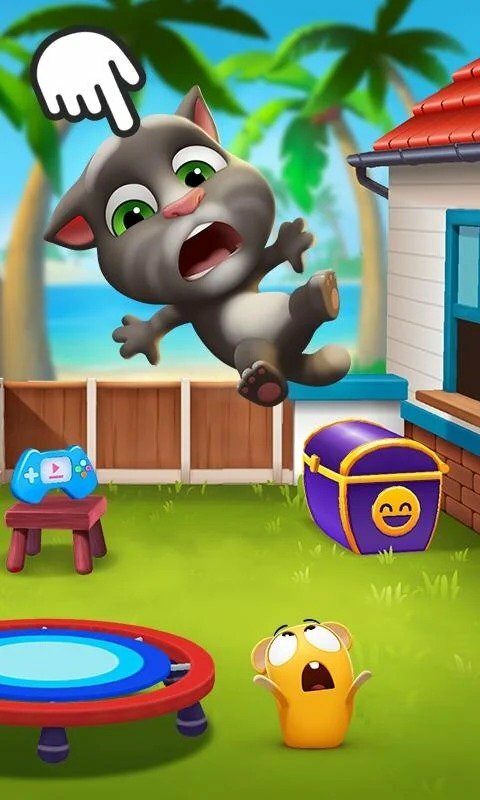 The graphics of My Talking Tom 2 does not have much difference compared to the previous version. The game has sharp 3D graphics and bright colors. Tom is still cute, hilarious as the original version. An essential feature of My Talking Tom is the mimic of the human voice. 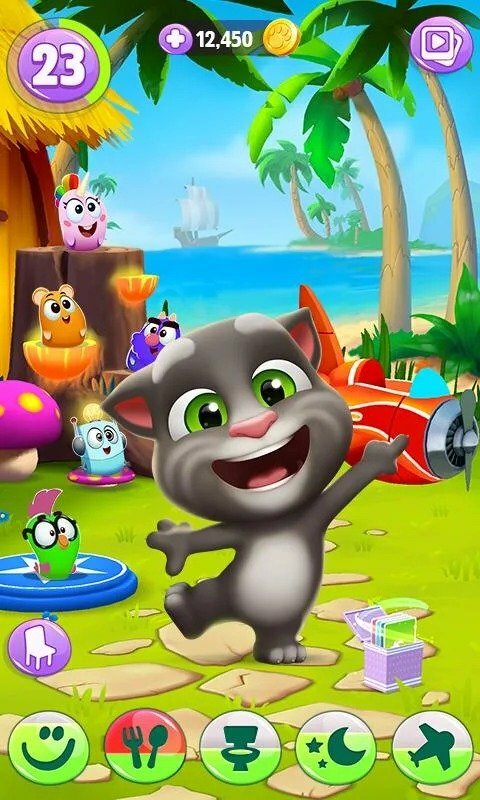 In a high tone of voice, Tom can parody every word you say while playing My Talking Tom 2. For a large amount of money in My Talking Tom 2 requires you to play minigames and save for a long time. In My Talking Tom 2 MOD (Money), the game gives you a large amount of money so you can comfortably buy clothes, decorations and anything you want. When you download My Talking Tom 2 you have a funny friend in your phone. Tom is a close friend of hundreds of millions of players around the world, including many children. If you love pets, this is an indispensable game on your phone. 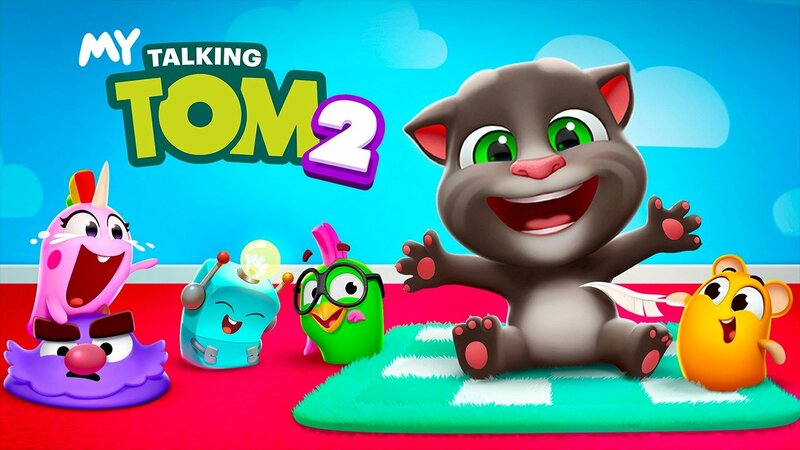 My Talking Tom 2 MOD APK is ready to download! 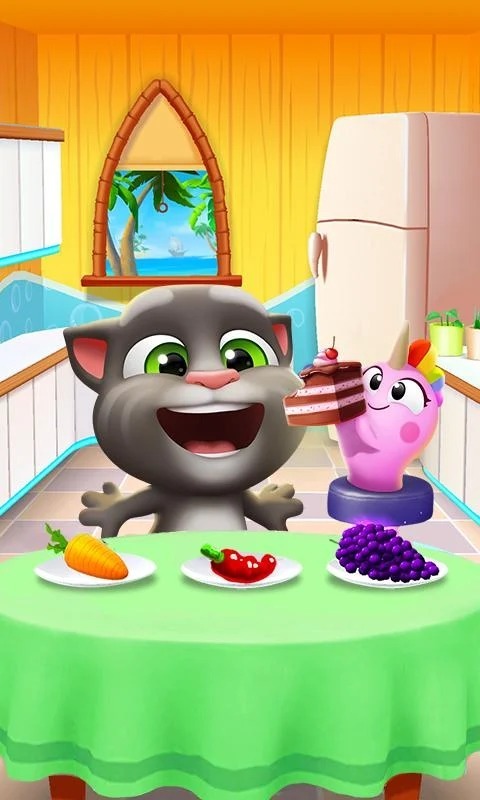 Depending on your needs, you can download My Talking Tom 2 MOD APK or My Talking Tom 2 Original APK. Or install from Google Play / App Store if you want.